Socialist Bernie Sanders SCREAMED at White House deputy budget director nominee Russell Vought for his Christian faith. Sanders was questioning Vought over a post he published that defended Christianity as the one true faith and only path to salvation. Muslim groups protested Vought’s remarks — despite the fact that they believe the exact same thing only that Islam is the one true faith. 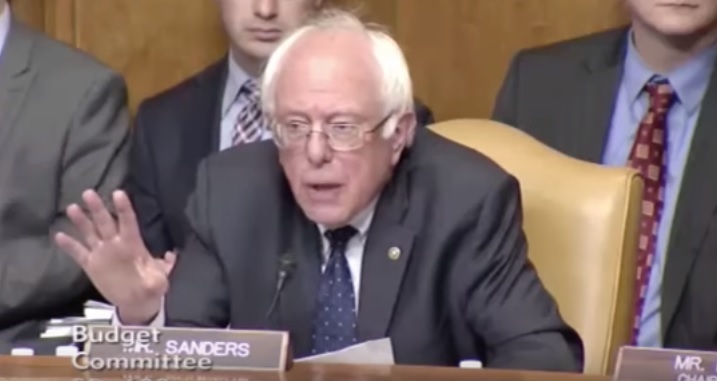 Sanders became agitated and started screaming at Vought over his Christian faith. It’s very difficult for millions of Democrats today to defend Christianity. The left has truly become a godless party of heathens.